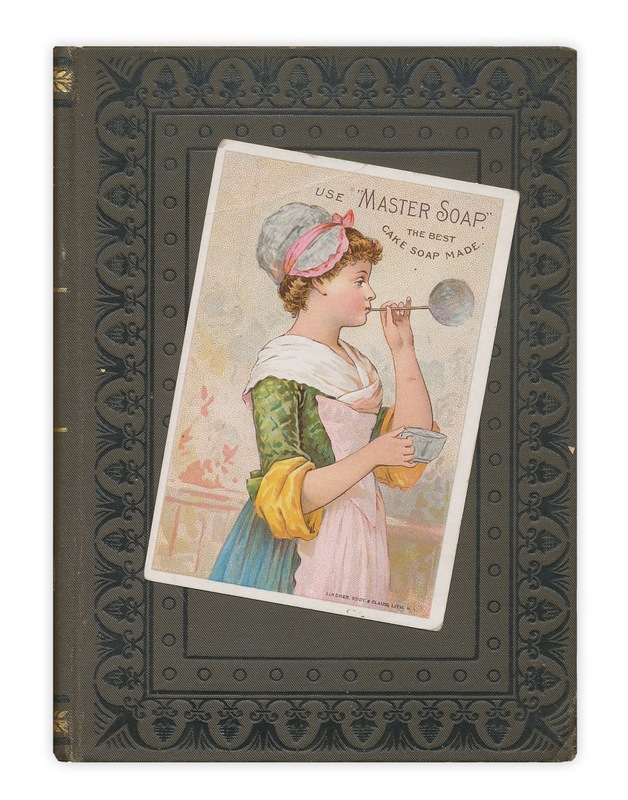 Trade card advertising Master and Marseilles White Soap. Found in "The Bride of the Nile: Volume One" by Georg Ebers. Published by W.S. Gottsberger, 1887. 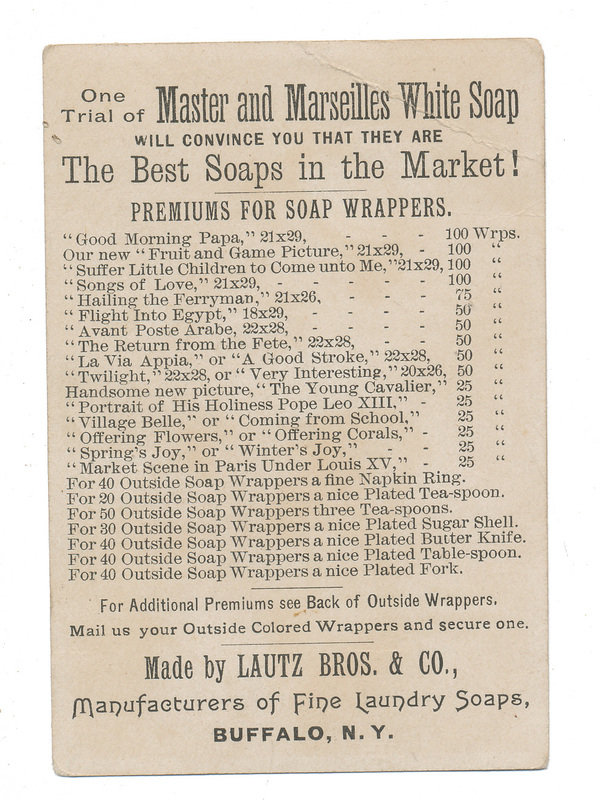 I Googled for the wrapper premium prints but without luck. I would think there would be collection somewhere.